Newly recognized American Kennel Club breeds are a major aspect of the buzz at the Westminster Kennel Club Dog Show presented by Purina® Pro Plan® each year. This year’s three newcomers reflect plenty of crowd-pleasing and judging diversity from just about every angle. 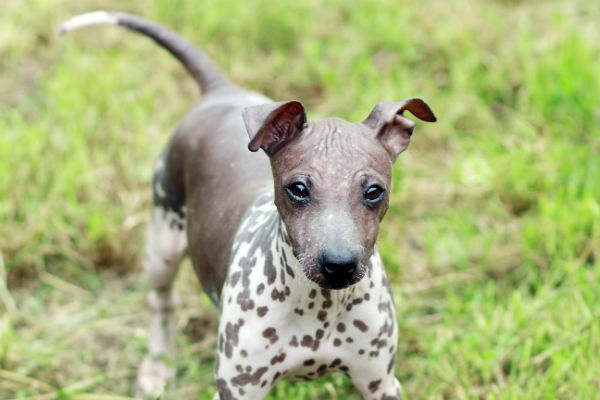 The American Hairless Terrier developed in the United States in the early 1970s and is known for its lively, intelligent, and friendly personality. This breed will most likely be a common sight in conformation, agility, and obedience going forward. It will be shown in the Terrier Group. The ancient Hungarian herding breed, the Pumi, is a perky, medium-sized character with wavy and curly hair. Noted for its intelligence, willingness to work, and quick learning ability, it is an ideal companion for the active family and an excellent candidate for a wide mix of dog sports. It will be presented in the Herding Group. 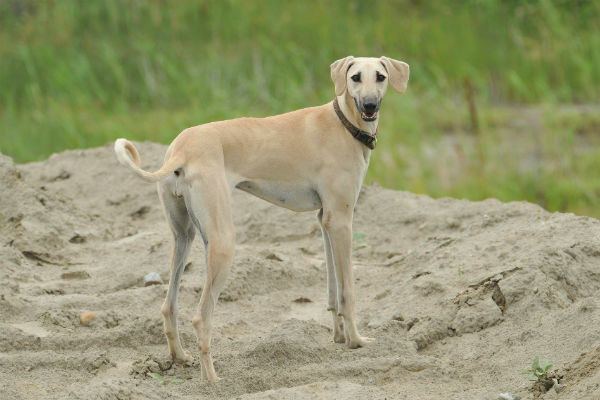 A sighthound with origins in North Africa, the Sloughi (pronounced SLOO-ghee), is rich in history and culture. Bred hunt game, such as gazelles, jackals, wild boar, hares and rabbits, the short-coated dog has become a companion breed in this country and is highly adept at lure coursing and treasured for its hunting skills. It will be exhibited in the Hound Group. The journey to full AKC recognition does not happen overnight. It begins with the AKC Foundation Stock Service, and proceeds to the Miscellaneous Class with a wide mix of criteria, where it competes typically for one-to-three years. When all the basic requirements are met, the breed is then presented to the AKC Board of Directors for full recognition. Find a complete explanation of the process here. 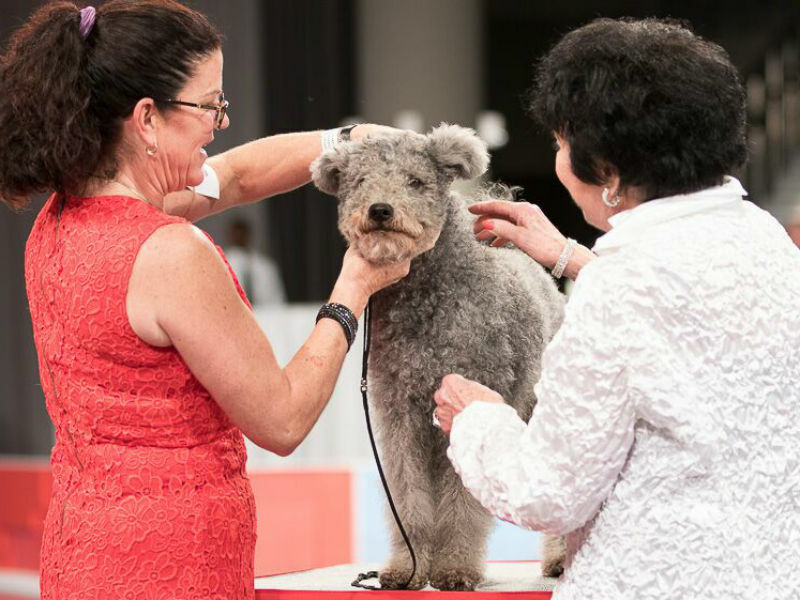 The AKC recognized the American Hairless Terrier and the Sloughi last January, and the Pumi came aboard in late June, so all have seen plenty of ring exposure pre-Westminster. The Sloughi, one of three new breeds making their Westminster debut, is a member of the Hound Group. So how does a judge prepare to evaluate a new breed? It varies, depending on whether the individual is certified to judge the entire group in which the new breed is placed. All those approved to judge the entire group must simply pass an open-book test and pay a fee. If the person is not approved to judge the group, he/she must undergo a get-acquainted process with the breed that includes educational seminars, mentoring, kennel visits, etc., before being tested. To provide prospective judges with a hands-on experience, dogs are usually present at the seminars. The three people who will be examining the new breeds in New York City this month are all group judges: Mr. Jay Richardson, of Elgin, Ill., (American Hairless Terrier); Mrs. Mary Ann Alston, of Ocean Pines, Md., (Sloughi); and Mrs. Kimberly Meredith-Cavanna, Pleasant Hill, Calif. (Pumi). This is their fourth, third, and eighth, Westminster assignment, respectively. Eventually, the applicant will be tested on the written standard of the breed, followed by an oral interview with the AKC regional representative, who again poses questions on the standard. Upon passing this hurdle, the applicant is granted a “permit” status, meaning he/she judges the breed three times as a “permit’ judge. Adding a bit to the challenge and complexity is geography: Most new breeds don’t have large numbers in all areas of the country, rather a dedicated core group sometimes situated in only one or two regions. Of the three Westminster judges, Meredith-Cavanna probably has the closest familiarity with the breed she will be placing her hands on. She has judged the Pumi at Federation Cynologique Internationale (FCI) shows in Europe and in the AKC Miscellaneous Class prior to the breed being accepted into AKC. Also, her sister owned a pet female Pumi, which died of cancer six months ago. “The breed is adorable,” Meredith-Cavanna enthuses. The Pumi is known as energetic, lively, and ready to work. 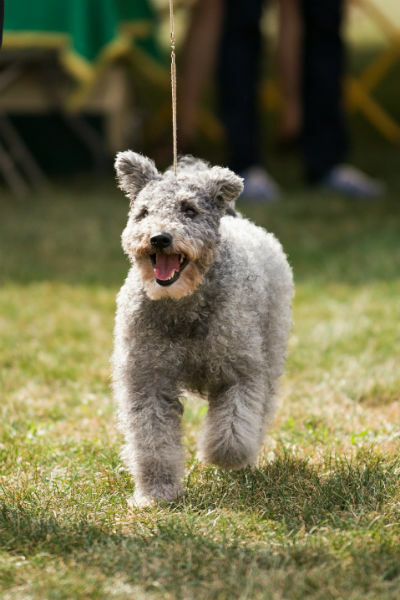 This is the first year the Pumi is competing in the Herding Group at the Westminster Kennel Club Dog Show. What makes the breed unique? — In other words, what makes it what it is? How did you become interested in the breed? How long have you been associated with the breed? Cite any known health problems it is noted for. What is the most important characteristic to emphasize when evaluating the breed? The new breed’s show presentation for a handler is equally challenging, since in many cases the handler is left to wonder about the judge’s knowledge and familiarity with the breed. Chris Levy, of Salem, Ore., president of the Hungarian Pumi Club of America, says, “We’ve had only seven months’ experience with full AKC status. The club did everything it could to educate the judges on this rare breed, which included providing 21 judging seminars nationwide over the past six years. Over 150-plus attended, but only 47 are now approved to judge the Pumi. The American Hairless Terrier was recognized by the AKC in 2016. The breed will compete at Westminster in the Terrier Group. She offers information to a judge any time she is asked. And that interaction occasionally extends to those not even judging that breed, but asking questions about it. Judges and exhibitors agree there is a wide array of dynamics at play with the presentation of new breeds. That mix ranges from the spirit of challenge at one end of the leash to an arbiter’s soberly reflective perception and sharp eye for detail several feet away.